Black History Month Celebration – Tonight – Friday, February 22! 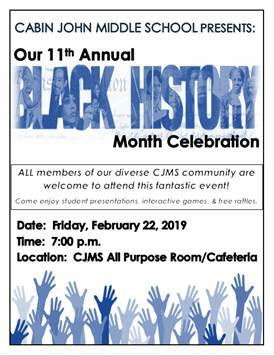 Please come to the CJMS Black History Month Celebration on February 22 at 7pm in the CJMS cafeteria. Enjoy student presentations, interactive games, and free raffles!